That’s what I felt like today was, just a little side of crazy. 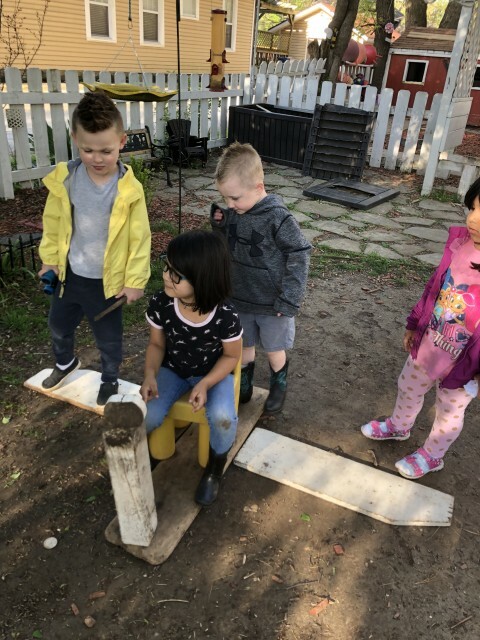 The morning was chilly at first but we enjoyed being outside. 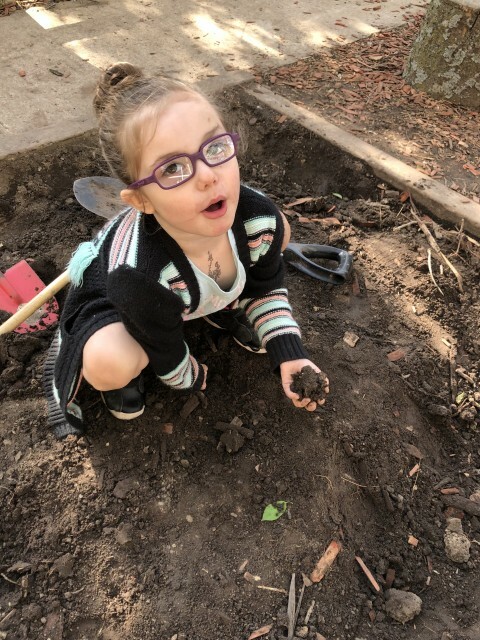 When spring comes the children’s activity level and energy increases tenfold. We try to get some of that energy out before going inside. 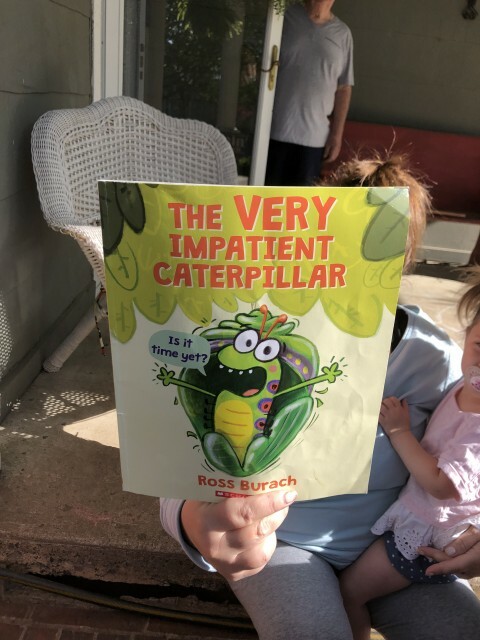 I read a book about Easter and Sara ,Jude’s mom showed up to read a book about a caterpillar. 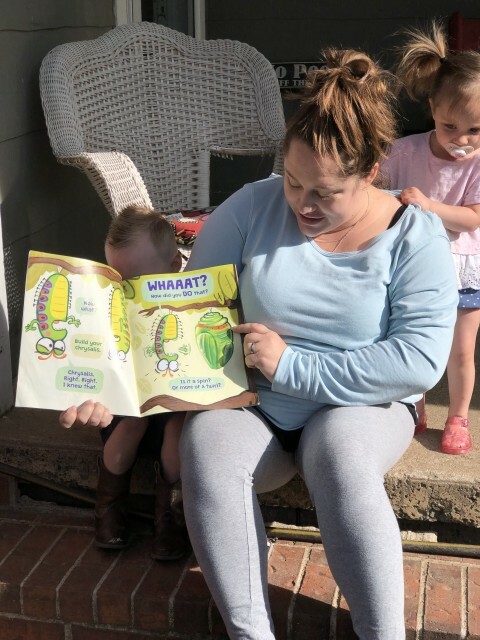 It was the funniest caterpillar book that I’ve ever heard. 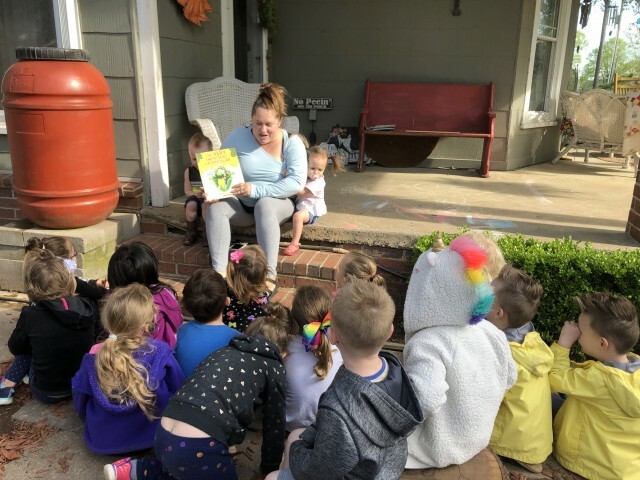 Sara did an excellent job using her voice to keep the children engaged. There is a live feed on our Facebook if you want to see that. Shortly before Sara arrive my phone rang and it was Little Rock reminding me that I had a meeting today. I am a member of the Arkansas early childhood commission. I would was originally appointed to this commission by Mike Kenney when he was a state representative years ago. It’s a wonderful position to be in. You get to be on the front end of all changes that are made concerning early childhood in the state of Arkansas. Much of the time you are part of that decision and your voice is definitely heard. It’s probably one of the most instrumental pieces Shortly before Sara arrive my phone rang and it was Little Rock reminding me that I had a meeting today. I am a member of the Arkansas early childhood commission. I would was originally appointed to this commission by Mike Kenney when he’s up was a state representative years ago. It’s probably one of the most instrumental pieces Of my life that have molded me into the leader I am today. So there was a scheduled meeting today but I have to be in Little Rock on Thursday to speak at a conference so I told them I would call in instead of being gone 2 to 3 days this week. I completely forgot about the call. It’s also important to know that we vote so a quorum is necessary. Today I made up that quorum that allowed us to be able to take votes. For one and a half hours I listened in on a conference call, voted when needed, and gave input while still being for the most part in the room with the children and trying to engage with them in small ways that I could.I even at one point told them what I was doing and let them listen so they would understand why I was walking around with my phone. Now mind you, I am not advocating this for quality care because it absolutely was not but I did what many mamas do with more than one child – I stayed flexible, I adjusted, and I did the best I could do. Like most children when they knew I was distracted things got a little crazy. I take responsibility for that today and I own it. Tomorrow is a new day.